Housekeeping is something we all grow up with. Some learn it better than others. On the job site, we all must practice good housekeeping because it affects safety and productivity. There are three main housekeeping issues: job site scraps, personnel debris, and tool organization. such as in a walkway or at the bottom of a ladder. As you create the scraps, throw them in a scrap pile or at least in the direction of a scrap pile. Many cut-off pieces of lumber can be used for blocking and should be thrown in the direction of where they will be mass-cut later. Whenever you have lumber with nails sticking out, pull the nails out if you are going to use the lumber again, or bend them if the lumber will be thrown away. It is easy to forget this, so be sure to attend to the nails while you are working with them and they are on your mind. Personnel debris is the garbage individuals create personally, like lunch scraps and soda bottles. It makes it easier on your crew if you provide some sort of container near the lunch spot. You will be lucky if you don’t have to keep reminding your crew that they are responsible for their own personal garbage. Tool organization can save you time and a lot of aggravation. With tools that are in common use by the crew, it is important to return the tool to where it belongs. If tools are not stored in a location where other framers can expect them to be, a lot of time will be wasted looking for them. When rolling out your electric cords and air hoses, keep them organized. If you have to roll out in a walkway, try to stay to one side or the other. If you have to move your hose or cord, and it is rolled out underneath someone else’s cord or hose, be careful that when you move yours, you don’t drag theirs (and possibly their tools) along with you. Housekeeping is sometimes difficult to organize, but getting it right can be a big asset for safety and productivity. To operate a forklift, you need to be certified. To obtain certification, you need to be trained and actually operate a forklift. The points below are intended as a refresher for those who are already certified, and as an introduction to those intending to be certified. extend it out next to the ground until the back wheels start to come off the ground. If you are using a forklift and it starts to tip over, stay in the seat; do not jump out of the forklift. Before you operate any machine, be sure you are familiar with all the controls. Before you operate the forklift, do an inspection. Walk around the forklift checking for anything that does not look right, such as leaking fluids. Then get in the cab, start the engine, and check the gages and other controls. Never leave the forklift while the engine is running. When working with a crane or boom truck, the most important thing for a framer is to have good communication with the operator. Because you are typically out of audible range, you will need to use hand signals. You should use the industry-accepted standards shown in the “Crane and Boom Truck Hand Signals" illustration. • The feet of the ladder need to be on a stable surface so the ladder will be level. • Do not use the top or top step of a step ladder. • For straight or extension ladders, remember the 4 to 1 rule. For every four feet of height the ladder extends, it needs to be placed one foot out at the base. • Check the ladder for defective parts, and remove any oil or grease on the steps. • Never leave tools on the top step of a ladder. Use common sense. If you are not sure that a ladder is safe, don’t use it. OSHA provides that for unprotected sides and edges on walking or working surfaces, or for leading edges of six feet or more, framers must be protected from falls by the use of a guardrail system, a safety net system, or a personal fall arrest system. For leading edge work, if it can be demonstrated that these systems are not feasible or they create a greater hazard, then a plan may be developed and implemented to meet certain OSHA requirements. Most deaths in the construction industry happen as a result of falls. Falls also cause many of the injuries that occur on the job site, according to OSHA. Because framing can place you a story or more off the ground, it’s important to work safely and to become aware of fall protection equipment, as well as systems (such as guardrails, safety nets, and covers) that can help prevent falls. The following sections cover safety tips on equipment and systems. Using these can help protect yourself and others on the job site from falls. The most commonly used fall protection systems in framing are the personal fall arrest system and the guardrail system. The guardrail system works well for a large flat deck. The fall arrest is better suited for pitched roofs. • The top edge of the top rail must be at least 42" (plus or minus 3") above the working level. • Mid-rails must be installed at a height midway between the top edge of the top rail and the working level. • The top edge of the guardrail system must be able to withstand 200 pounds applied within two square feet in an outward or downward direction. • The mid-rail must be able to withstand at least 150 pounds in an outward or downward direction. • When access is provided in the guardrail system, a chain, gate, or removable guardrail sections should be placed across the opening when loading operations are not taking place. These systems typically consist of a full body harness, a lanyard, a lifeline, and an anchor. (See “Fall Arrest System" photo.) Each of these parts is available in many different types. Some of the OSHA regulations for these systems are listed below. • D-rings, snaphooks, and carabiners must have a minimum tensile strength of 5,000 pounds. • Lanyards and vertical lifelines must have a minimum breaking strength of 5,000 pounds. • Anchors must be capable of supporting at least 5,000 pounds per framer. • The system must be rigged so that the framer cannot free-fall more than 6 feet. • The attachment point for a body harness is to be located in the center of the wearer’s back near the shoulder level or above the wearer’s head. If you have new framers who are not used to working with fall arrest systems, you will need to spend some time with them to help them become familiar and comfortable with this equipment. • Do not hold the trigger down unless you’re nailing. • Be careful when nailing close to the edge. The push lever at the nose of the gun can catch the wood and allow the gun to fire without the nail hitting the wood, allowing the nail to fly toward whatever is in line with the gun. • Always keep your hand far enough away from the nose of the nail gun so that if the nail hits a knot or obstruction and bends, it will not hit your hand. • Never point a nail gun at anyone. • Disconnect the air hose before working on the gun. • When nailing off the roof or high floor sheathing, move in a forward, not a backward direction to prevent backing off the edge. • Move from top to bottom on wall sheathing so you can use the weight of the gun to your advantage. Trainees are the most vulnerable to nail gun accidents. Make sure that when you are training new recruits on nailing with a nail gun, you formally instruct them on nail gun safety and the potential for accidents. • Wear safety glasses when operating a circular saw. • Always keep your fingers away from where the blade is going. • Never remove or pin back the guard on the saw. The saw guard has a tendency to catch on many cuts, especially angle cuts, which makes it tempting to pin the guard back. Aside from the fact that it is an OSHA violation, a saw can become bound in a piece of wood, and “kick back." If the guard is pinned back, this can result in serious injury such as cuts to the thigh. • Never use a dull blade. It will cause you to put excess directional force on the saw, which could cause it to go where you don’t want it to. • Disconnect from power if you are working on the saw. • When you are cutting lumber, make sure that one end can fall free so that the blade does not bind and kick back. As the teeth of a circular saw speed around at almost 140 miles per hour, it becomes very dangerous if not used properly. • Make sure all safety guards are in place. • Keep your finger off the trigger of power tools when you are carrying them to prevent accidental starting. • Keep tools properly sharpened. • Store tools in the locations provided. • Before working on power tools, unplug them or take out the battery. • Replace worn or broken tools immediately. • Never leave tools in paths where they can become a tripping hazard. • You must wear safety glasses. • Hard hats and hearing protection are recommended. • Never point a powder-actuated nail gun at anyone. • Before you fire, make sure no one is on the other side of the material you are firing into. • Do not load the firing cartridge until you are ready to use it. • If there is a misfire, hold the tool against the work surface for at least 30 seconds; then try firing again. If the tool misfires a second time, hold it against the work surface again for 30 seconds; then remove the cartridge and inspect the gun. Soak the misfired cartridges in water in a safe location. • Powder-actuated tools need to be placed firmly against the work, perpendicular to the work to avoid ricochet. It’s also a good idea to say “fire" just before you pull the trigger, so the shot noise will not startle the workers around you. If you have been framing long enough to understand advanced techniques or to be considering a career as a lead framer, you have probably seen enough accidents to make you aware of the importance of safety. Common sense will help guide you in knowing what is safe and what is not, but you must also be aware of the potential dangers. This information is usually acquired from the lead framer who taught you, from apprenticeship classes, and from weekly safety meetings, as well as state and federal regulations for the job site. The safety topics presented in this chapter are not intended to be a complete list, but rather to cover the items you will come in contact with or have questions about most often. What we wear can either help prevent accidents or help cause them. Think about what you are going to do during the day, and prepare for it. It’s a good idea to discuss personal protective equipment needed for specific tasks at your safety meetings. Keep an eye on new framers so you can detect any potential safety problems. Hard hats are the symbol of the construction industry. Some jobs require that hard hats be worn. The Occupational Safety and Health Administration (OSHA) says that a hard hat needs to be worn if there is a possible danger of head injury from impact, or from falling or flying objects. Eye protection is required by OSHA when there is a reasonable probability of preventable injury when equipment such as a nail gun is used. Eye protection can be provided by safety glasses. Safety glasses can be found that are lightweight and also look good. They should always be worn when using power saws. Ear protection is recommended when you are exposed to high levels of noise. High noise levels can cause hearing impairment and hearing loss, as well as physical and psychological stress. There is no cure for hearing loss caused by exposure to noise. Framers are exposed to these high levels at various times, not so much from their own work as from surrounding operations. The easiest way to protect yourself from hearing impairment is to keep disposable earplugs handy. They are easy to use and once they are in, you barely notice them. Foot protection can be provided by a pair of leather work shoes or boots with hard soles. The boots will help protect your ankles. Steel toes provide extra protection for your toes and can be useful as support for lumber you are cutting. Rubber boots are good in wet weather and provide an extra measure to prevent electric shock. Pants and shirts should be fit for work. If they are too loose, there is the chance they can get caught in something like a saw or a drill and pull you into the drill bit, which might throw you off a ladder. If your pants are too loose or frayed at the bottoms, they can cause you to trip and fall. Be careful with other clothing, such as belts and coats, so that they don’t hang loose and get caught. "Oh, my aching back." Everybody has heard those words. In fact, back injuries are the most common type of injury in the workplace. Framing is lifting­intensive work—so measures to prevent back injuries deserve your attention. Stretching each morning and strengthening exercises are good for your back, but more important is making sure you lift properly. (See “Proper Lifting" photo.) Make it a point to use your legs to lift, and not your back. When you are lifting walls, remind your crew to lift with their legs. When picking something up, bend your knees and keep your back straight. When carrying, keep objects close to your body, and avoid twisting and jerky motions. Some tasks require more than one framer, for example, lifting large walls. Any time framers have to be called from other tasks to perform a common task, care must be taken not to waste time. The cost per minute of a 5-framer task is 5 times that of a single framer task. The person organizing the task needs to take responsibility for making sure the task is ready for all framers. If it is lifting a wall, the organizing framer should make sure the wall is completely ready so framers don’t stand around while one person makes last-minute adjustments. Studies have been done that show that as output is doubled, the time required decreases according to a constant ratio. The common ratio is about 4 to 5, or 20%. For example, the fourth set of stairs built will take 20% less time than the second. Multiple cutting becomes efficient when you have to cut a number of pieces of lumber the same size. Trimmers, cripples, and blocks are good examples. To multiple cut, first spread all the lumber to be cut out on the floor or a table. Then measure each piece, mark each piece with your square, and finally cut each piece. Analysis has shown it takes 36% less time to cut ten pieces of 2 x 4 when the tasks of spreading, then measuring, then marking, and then cutting are done for all the pieces at one time. For very large numbers of cuts it may be worthwhile to make a template or a measuring/cutting jig. Question: Can significant time (and money) be saved by moving faster? Answer: Motion analysis studies have shown that something as simple as walking more quickly around the site can substantially raise productivity. For instance, if a framer spends 2 hours in an 8-hour day walking from point to point on a job site, a quick walk can save about 30 minutes per day over a relaxed walk. First and most important is the structural integrity of the building. The second is creating a finished frame that will be pleasing to the eye. Once requirements for strength and attractiveness are satisfied, the faster the job can be done, the better. Framing requires a lot of material movement. It is estimated that one-quarter to one-third of a framer’s time is spent moving material, so any time or energy saved is a cost reduction. The following hints will help you save time, energy, motion and, in the last analysis, money. • Whenever material is lifted or moved, it takes time and energy; therefore, move material as little as possible. —Where will it be used next? —Will it be close to where it is going to be used? —Will it be in the way of another operation? —Will it obstruct a pathway? • Always stack material neatly. This helps to keep the lumber straight and makes it easy for framers to pick up and carry it. Stack 2 x 4 studs in piles of eight for a convenient armful. • Have second-floor lumber dumped close to the building so framers can stand on the lumber stack and throw it onto the second floor. • When stacking lumber on a deck, place it where walls will not be built, so it will not have to be moved again. Draw up a schedule such as the one shown in the following table for your specific equipment; post it, and assign a reliable crew member to take charge of it. • Use mechanical aids, such as levers, for lifting. Remember your physics—the longer the handle in relation to the lifting arm, the easier it will be to lift the load. • Two trips to the lumber stack or tool truck cost twice as much as one trip. If you have to go to the tool truck for a tool, check to see if you need nails or anything else. will challenge you every day. The information presented in this chapter should give you a base for the common-sense decisions you will have to continually make in response to the questions that come up as you manage your crew. 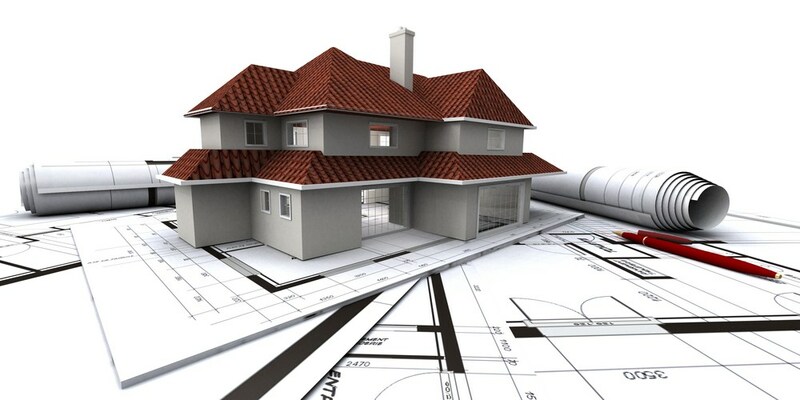 Your objective is most likely to frame a quality building for the least possible cost. Wages represent the greatest percentage of the total cost, and since wages are paid for time spent working, it follows that if you lessen the time it takes to complete a building, you thereby reduce the wages paid and, thus, lower the total cost. There are various tasks involved in framing. Some of the tasks can be done as fast, or nearly as fast, by the least experienced framer as by the most experienced framer—for example, carrying and spreading studs. Suppose that a $10/hour person can do the same job as a $20/hour person, only 20% slower. You save $8/hour by having the less expensive person do the job. Be careful, however, because if an inexperienced framer takes on a job beyond his capabilities, the chances for mistakes are great. This could result in wages paid for work incorrectly done, and higher wages paid for an experienced framer to find and correct the mistake. It is ideal for you to have a balanced crew of experienced and inexperienced framers. This allows you the flexibility to fit the framer to the task. It takes planning to coordinate framing tasks so that they are done as inexpensively as possible, but it is time well spent for the money you will save. The following are job titles and responsibilities for a typical large framing crew, divided into four categories: overall organization, walls, floors, and roofs. □ Nail together a quantity of stud-trimmers, corners, backers, headers, etc., before they are carried to the walls. □ Nail joists in position. □ Nail on joist hangers. □ Nail blocking and drywall backing. □ Carry joists into place. □ Place and set sheathing. □ Glue joists ahead of setter and nail sheathing behind setter. □ Carry sheathing to setter. □ Spread and install trusses and rafters. □ Install blocking and drywall backing. □ Carry sheathing to setters. Recordkeeping is quite possibly one of those tasks that you thought you were getting away from when you started framing. The reality is that recordkeeping is an important, but not necessarily major, task for the lead framer. There are three things you will want to keep records for: timekeeping, changes to the plans, and extra work. Timekeeping is easy, but you have to record it every day. If you don’t, it’s easy to forget and make a mistake that is not caught until the payroll checks come out. Most companies provide forms that can be filled out at the end of every day. You will need some type of an organizer to store your time cards and other records. For a small job, an aluminum forms folder, similar to what the UPS drivers use, works well. These folders are durable and keep the rain out. If you are working on a big job, you will probably need something like a builder’s attache to keep all your papers organized. Your time cards can be kept in your organizer so you always know where they are. Changes to the plans should always be recorded when they occur. Changes may be conveyed in conversation or in writing. Because the time when you receive the changes is not always the time you will be doing the work, it is important to record the information so that you will not forget it. The best place to record changes is on your plans. Write it on the sheet where you will see it, then write the date and the name of the individual who gave you the change. If it was given to you on paper, keep that document in your organizer after you have written the change on the plans. You can also tape the change to the plans. If there is not enough room to record the changes on the appropriate sheet, tape the information on the back of the prior sheet so you will see it when you are reading the sheet involving the changes. this extra work constitutes a change order, and that you expect to be paid for it. The person requesting the extra work can then decide whether they still want to make the change, knowing the extra cost it involves. When you actually perform the change order work, make sure you record the work done and the cost to be billed. If you are to be paid on a time and material basis, you need to keep accurate time records showing the hour of the day, and the date the work was performed. While lead framers are not responsible for developing project costs or schedules, they are asked for input into the decisions of others who must estimate and schedule construction. The superintendent, for example, might need to know if he can meet a deadline with the crew that is in place; a lead carpenter might need to know if there is enough material available to complete the job; or the framing contractor might need to know if any labor can be spared to send to another job. To answer these questions, the lead carpenter must understand and appreciate the importance of the construction schedule and budget. This means thinking ahead and looking at the project as a whole, while also focusing on the details. It means evaluating the crew’s ability to perform its job at a particular time under a given set of conditions. A crew includes both labor and equipment required to install materials. On any given day, the makeup of the crew can change. One person may not show up or may be sent to another job. At other times you may have to absorb extra manpower on short notice. Equipment you expected to have available may not be there or, with little notice, you may have the benefit of equipment. When faced with these situations, a seasoned lead framer draws on his or her experience and makes the necessary adjustments to either push the job or, at the very least, maintain the momentum. The lead framer should understand the labor hours required for each task, and be able to know in his or her mind if the schedule is realistic and can be maintained. Perhaps more important is recognizing potential problems before they become real problems. In a matter of hours, what seems to be a minor glitch can become devastating to the schedule. For example, if fuel has not been requested for a piece of equipment, production may be forced to stop while waiting for a fuel delivery. Never underestimate the importance of realistically measuring the crew’s ability to perform the work. Keep in mind that most jobs, unless very short in duration, are scheduled well before the work begins, and job durations are usually based on optimistic job site conditions. During the course of construction, a monthly schedule is broken down to weekly schedules, and weekly schedules are broken down to daily schedules. Before committing the lead framer to a schedule, the framing contractor normally has agreed to the means and methods that will be followed for the job. If the estimator has based the estimate on a crew that performs differently than an average crew, the schedule may or may not have allowed enough time for the work. Once a productive and effective crew has been assembled, nothing can slow that crew down faster than a shortage of material. Construction project estimators and schedulers often look at past project costs for material, labor, and equipment needs and costs. They may make adjustments to these figures based on input from the field, allowing for factors such as a more experienced work force, or new equipment that will make the work go faster. Nevertheless, material shortages can still occur. The lead framer needs to keep an eye on the rate at which materials are being used, and communicate material needs to the superintendent. Project estimators perform quantity takeoffs that are really a best guess of how much material will be needed for the job. Waste is a concern in the quantity takeoff for any area of construction. There is some inevitable waste in framing lumber, depending on spans, wall heights, and the grade of lumber. A rule of thumb for lumber waste is 5%-10%, depending on material quality and the complexity of the framing. The lead framer should be made aware of any material lists, structural framing drawings, shop drawings, engineered drawings, or cut lists that have been prepared for a framing project. This information is critical to ensure that the correct stock (lengths and widths) is used in the assembly of the frame. Read all notes on the drawings and find out whether the plans being used are the most recently amended or approved version. Using the plans and shop drawings, the lead framer can determine which material to use for cripples, jacks, headers, blocking, and other miscellaneous members. Keep in mind that many initial stock deliveries are “short," meaning that as the project nears completion, someone is responsible for ordering just enough materials to complete the frame. This is sometimes referred to as “will call." The lead framer needs to know in advance if this strategy is being used. On some projects where material storage and handling are restricted, a “just-in-time" delivery schedule may be necessary. This means that the lead framer must, in some cases, anticipate material and equipment needs on a daily basis. In “will call" or “just-in-time" situations, the lead framer must be made aware of any problems in deliveries and must estimate and plan material use in order to maximize the productivity. A lead framer may be given instructions to perform change orders with little regard for how the change will affect time, cost, and crew productivity. The time and cost of change order work varies according to how much of the installation has already been completed. Once workers have the project in their mind, even if they have not started, it can be difficult to re-focus. The lead framer may spend more time than usual understanding and explaining the change. Modifications to work in-place, such as trimming and refitting, usually take more time than was initially estimated. Post-installation changes generally involve some demolition. The change may come after finishes and trim are installed and may require protection of in-place work. 1. Set up your table in convenient locations for moving lumber in and out. 2. Place the incoming material as close as possible to the side of the saw where you will be positioning it to cut. 3. As it is cut, stack the lumber in a pile that is neat and easy to pick up and carry or lift with a forklift. 4. Put scrap wood that you will be cutting into stacks nearby, maybe under the saw table. 1. Set your length gage for multiple cuts. 2. Cut your first piece, then check the cut for square (both vertical and horizontal) and correct length. 3. Check the second and tenth piece for square and length. 4. Check every tenth piece after that for length. 5. Keep lumber tight against lumber guides, but don’t bang them so that they move. 6. Remove any sawdust near the guides. 7. Respect the saw! If you don’t, there is a good chance you will hurt yourself or your fellow framers. Many apprentice framers are not familiar with fractions, and some might be embarrassed to admit this. It doesn’t take long to teach fractions. Ask the framer to show you where 11/16" is on the tape. If he can’t do it easily, draw a duplicate of a tape showing the different length lines. Mark the fractions on each line, and tell him to take it home and memorize it. Review as frequently as required to develop proficiency.